WhatsApp chats keep you updated with friends and family at every moment. For most people, the messages stored in WhatsApp are important. And they rely on iTunes backup to restore lost or deleted WhatsApp messages. But what if the backup just won't restore or you lost your iPhone and desperately need to recover WhatsApp messages from the backup? Is there a WhatsApp messsages extractor? Yes, WhatsApp Recovery is here to help! The WhatsApp chats stored in your iTunes backup as app data can be accessed and extracted by this software. 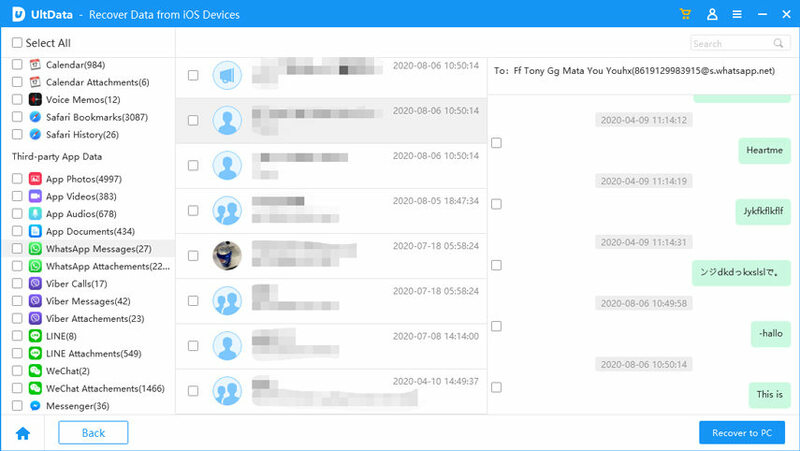 What Can WhatsApp Messages Extractor (Viewer) for Mac/Windows Do? With the help of WhatsApp Messages Extractor (or WhatsApp viewer) you can extract and save your WhatsApp chat history in your computer. It will automatically detect and load the iTunes backup files stored on your computer. The app is fully compatible with iPhone SE, 6S, 6S Plus, iPhone 6, iPhone 5S, iPhone 5, iPhone 4S and other iPhone models. Another merit of this WhatsApp extractor for iPhone software is that you can preview messages first and then selectively extract the messages you need. Instead of iTunes which restores the whole content of your iPhone backup. How to Extract WhatsApp Messages on Mac and Windows? The steps to extract WhatsApp messages on Mac and on Windows are basically the same. Just make sure you download the right version. The following steps will show you how to extract WhatsApp messages on Windows with WhatsApp Messages Extractor for Windows. Download it to your computer and let's do it together. This tool supports all iOS devices running iOS 10/9/8/7 and lower. 1)	Download and install WhatsApp Messages Viewer for Windows. Select "Recover Data from iTunes Backup File" or "Recover Data from iCloud Backup File" from the menu bar. 2)	Choose the backup you wish to extract from and click "Scan". 3)	Click the "WhatsApp" on the category and select WhatsApp chats to preview. If you want to recover videos, photos and audios in WhatsApp, choose "WhatsApp Attachments" instead. 4)	Choose the folder where you wish to save the messages. WhatsApp messages will be saved to the output folder on your computer. If you're running Mac OS X 10.11 El Capitan, OS X 10.10 Yosemite, 10.9, 10.8 or earlier, just choose WhatsApp Recovery for Mac instead. What if you haven't backed up iPhone before? The WhatsApp extractor for Mac offers you a way to extract WhatsApp chats directly from iPhone. 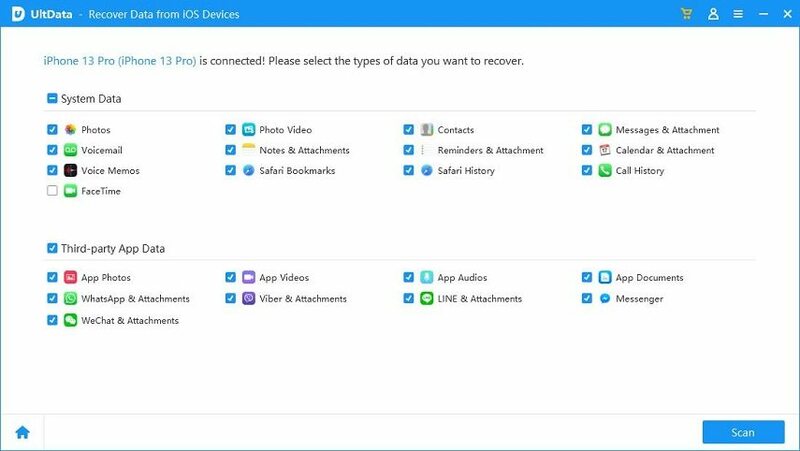 Just connect your iPhone to computer and follow the steps below. 1)	Launch WhatsApp messages extractor (Mac or Windows) and select "Recover Data from iOS Device". 2)	Scan your iPhone for lost WhatsApp messages. 3)	Preview and check the messages you need. Then extract them to your computer. Besides iTunes backup, you can also back up WhatsApp conversation to iCloud. 1)	First you need to update to the latest version of WhatsApp, version 2.10.1. 2)	Go through the self-optimizing process of WhatsApp and head over to the Settings section. 3)	Select "Chat Settings" and then "Chat Backup" toward the bottom of the list. 4)	You'll have the ability to back up manually, or set the app to automatically back up. If you have iCloud enabled to use cellular data, WhatsApp will use it to back up your conversations. The next time you set up WhatsApp from a new device or a fresh install, you'll be prompted to restore your messages and photos. Videos aren't included in the backups.